Résumé – Cet article en langue anglaise est le troisième d’une série consacrée à nos recherches sur les traces d’Hannibal, ses éléphants et ses cavaliers numides, ancêtres des Berbères d’aujourd’hui. Concernant le col fatidique traversé par le général carthaginois nous refusons une acceptation trop facile des thèses qui ont le vent en poupe; nous estimons, en effet, qu’il est dommageable de tout ramener au Clapier, ou à La Traversette. Bien au contraire, tout demeure possible. Car rien n’est encore valablement prouvé sur le plan archéologique. 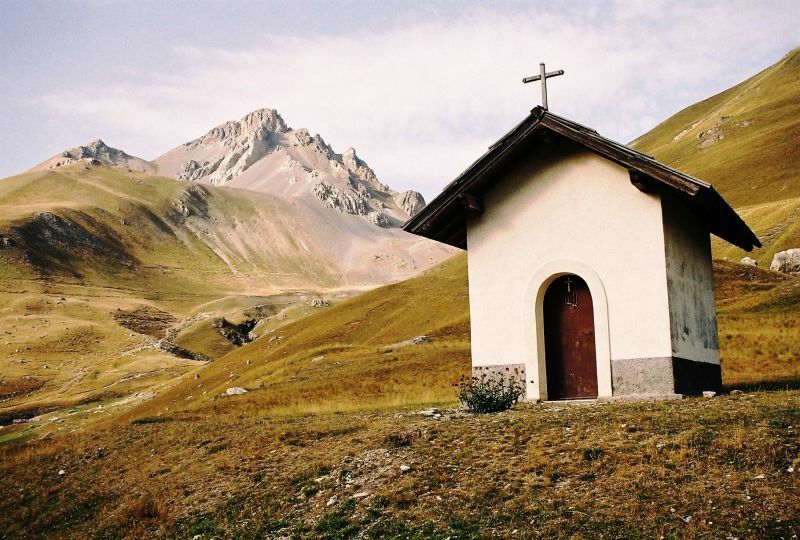 Raison pour laquelle, après la Traversette, le col d’Ambin, le Mont-Cenis, le Clapier (2004-2009), ainsi que de mémorables pérégrinations à flanc des gorges du Guil, en haut des cols d’Agnel, de Lacroix et de Malaure l’an passé, en 2011 nous avons dirigé nos pas au-delà du Col de Vars, vers des recoins encore plus reculés des Alpes du Sud. 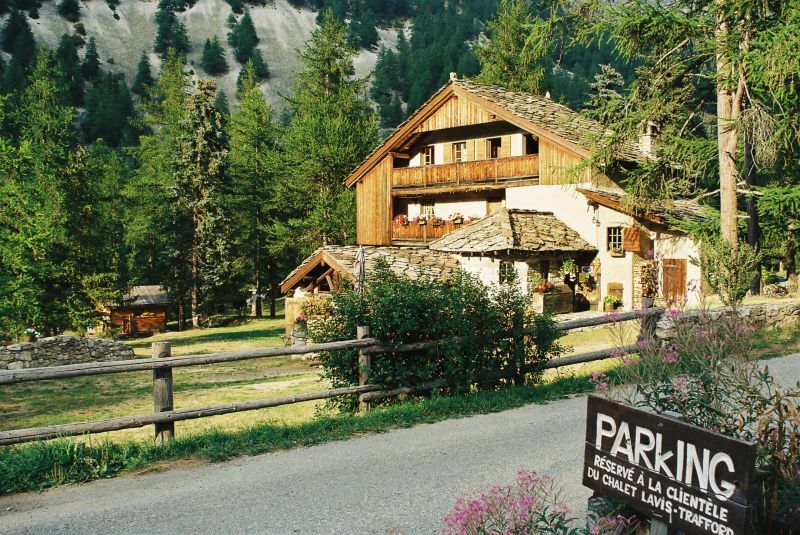 Quête qui a finalement connu son terme à « Barcelo », au pied de la montée du Col de Restefond. Ceci après avoir écumé quelques sites de l’Ubaye : le col de Larche, le col de Mary, le col Girardin. Pour chacun de ces hauts-lieux nous avons dressé un bilan provisoire de viabilité. Nous ajoutons, enfin, quelques considérations pertinentes sur l’actualité « hannibalienne », les neiges persistantes et le recul des glaciers ; une recension sommaire d’ouvrages divers sur Hannibal. 2011 was obviously going to be a busy year in terms of Hannibalic celebrations. The build-up had been noticeable through recent screen versions of the Carthaginian epic, most of which had been also shown on TV for good measure. Also, most significantly, there had been a Franco-Italian exhibition inaugurated in April 2011. 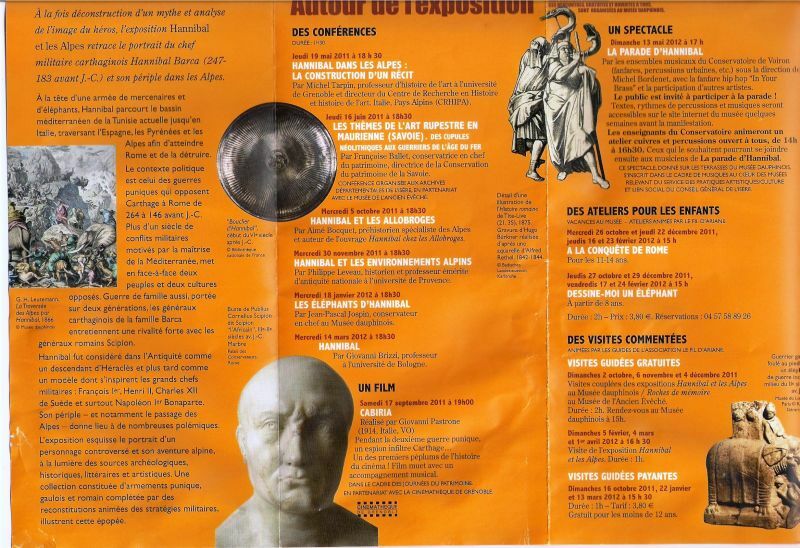 Staged at the Musée Dauphinois in Grenoble, it was devoted to the Punic general, his army, their crossing of the Alps and the manner in which the Hannibal legend subsequently underwent construction and de-construction (see below for more). More prosaically, despite the economic down-turn, Alpine regions dependent on tourism had to get their act together to guarantee a successful season. 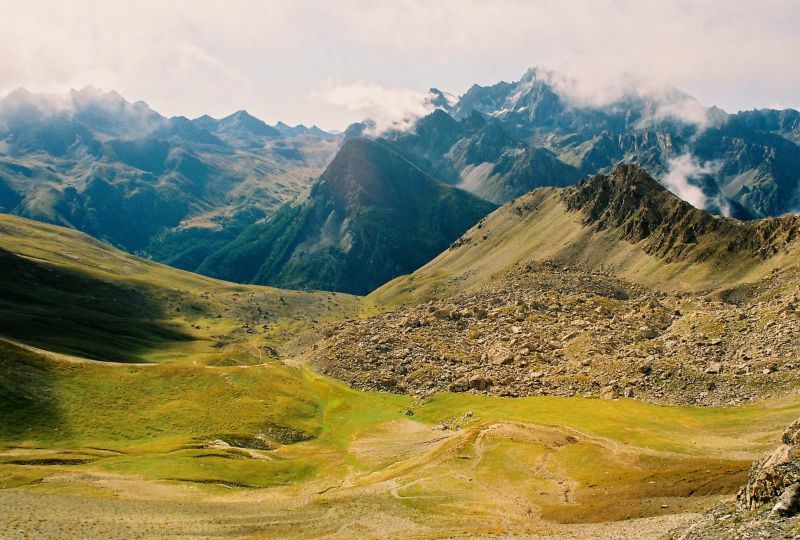 Capitalizing on old legends is a well-known standby in such circumstances and nowhere was this more apparent than in Haute Maurienne. By early July a life-size aluminium elephant had been erected outside Bramans to attract passers-by, thus staking the village’s claim to fame in no uncertain terms as a genuine “Hannibalic” venue. Nor was the fun factor neglected. 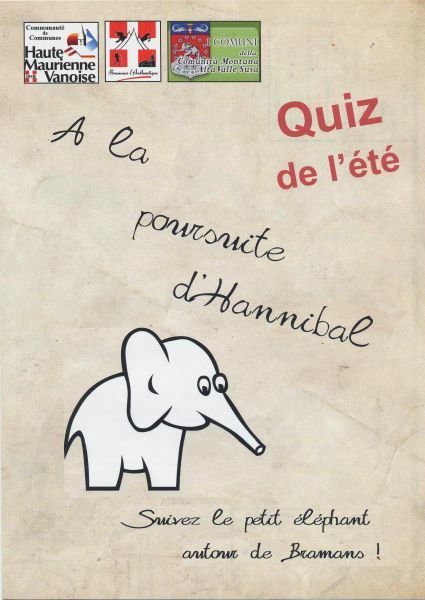 Open to visitors young and old, a Hannibal-oriented quiz was organised between July 15 and September 20, after which date winners would be announced and prizes distributed. 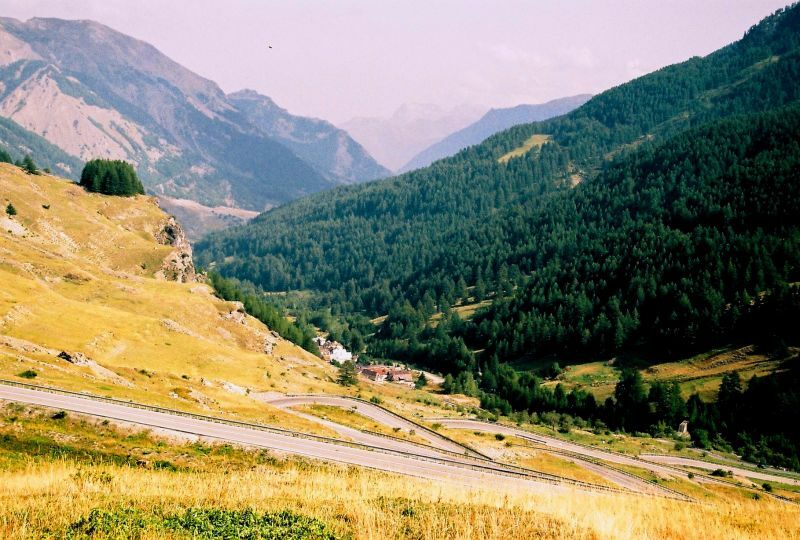 It prominently featured elephants and the Col du Clapier route, by the same token visibly strengthening the case for the last-named pass. Not much scholarship involved here; but showmanship, did you say? Ah, yes! True, the Bramans Commune have been pushing hard for some time to get their pet pass acknowledged as the genuine article. A look at their website, however, http://www.bramanshautemaurienne.com/hannibal.html, will reassure the reader that they are being quite open about and businesslike about the matter. They fully appreciate that Hannibal’s harangue of the troops with Italy in view, far from being a failsafe identification criterion, may merely be “une aimable image d’Épinal”, thus leaving cols other than the Clapier with a sporting chance of collecting “Hannibalic” honours. In fact, among the direct links provided to relevant websites is that of Pierre Ollier, a well-known exponent of the Col de Larche. (cf. http://ollier.pierre.free.fr/HANNIBAL.htm) Another link is to Patrick Hunt, an eclectic scholar and frequent speaker at bow-tie and dinner-jacket evenings in the ‘Frisco Bay area. 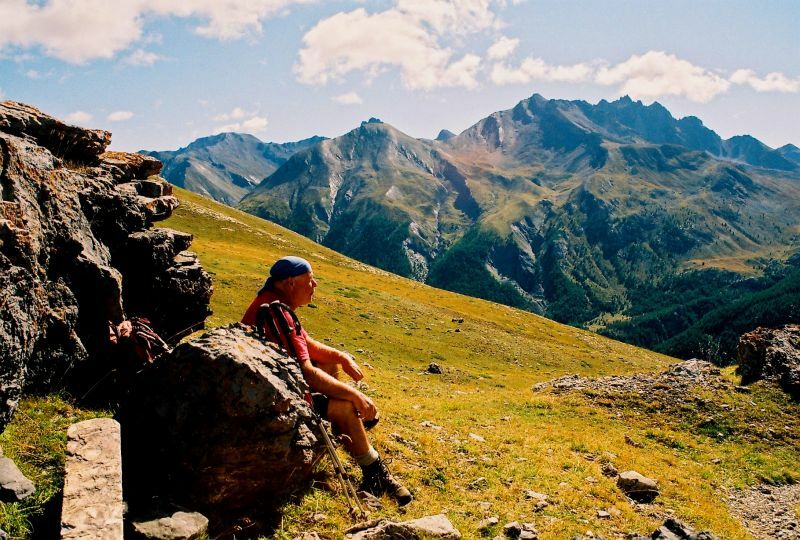 Concerning Hannibal, he is better known as a successful student trip leader and Archaeological Project director at Stanford University, with 25 or more Alpine passes under his belt. A firm believer in the Clapier route, by all accounts he was preparing to take the field yet again during the summer of 2011. As with fashion, so with Hannibal’s pass. In 2010 we had been informed by a girl in the Tourism Office at Aime (Tarentaise) that Hannibal, in all probability, never crossed over to Italy by way of the Petit St Bernard. This remark would probably have infuriated the likes of Aimé Bocquet, who would have reminded the disloyal girl (disloyal to her own region, that is!) 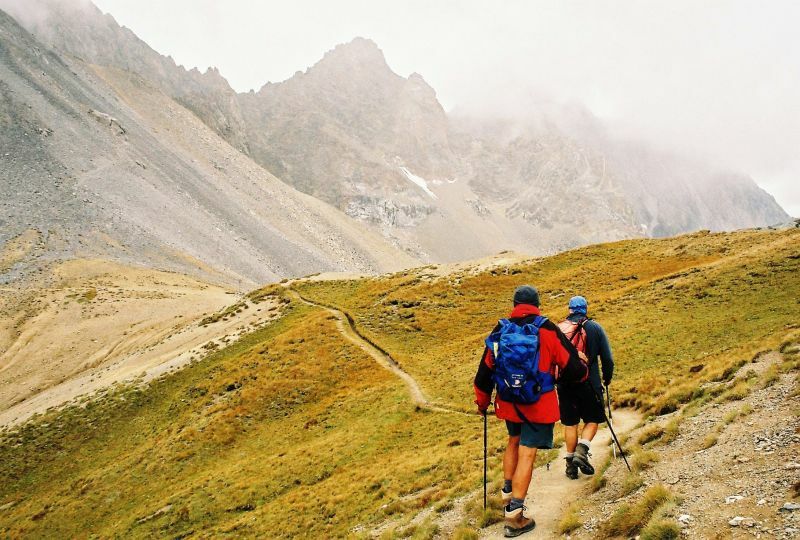 that for centuries numerous observers had been in favour of the Tarentaise route. 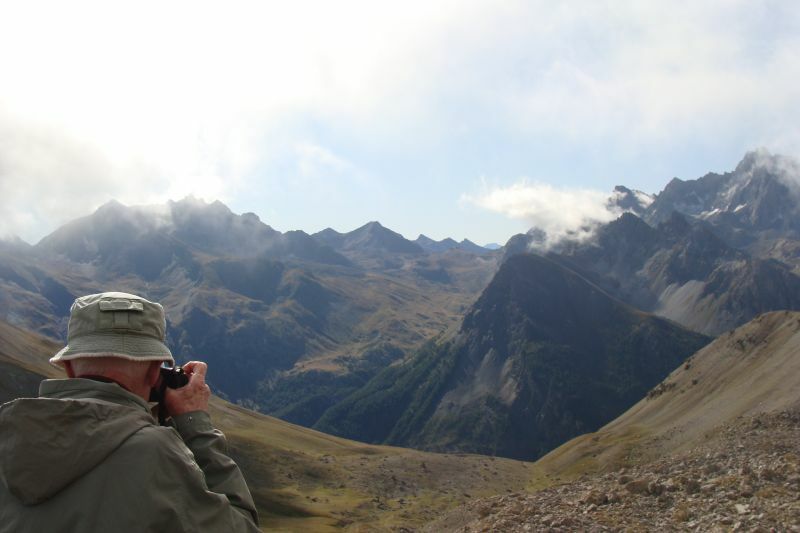 Similarly, during our 2010 visit to Queyras we had noticed that interest in Hannibal was at best lukewarm, although people in tourism acknowledged visits by John Prevas and Hannibal-seekers from America. 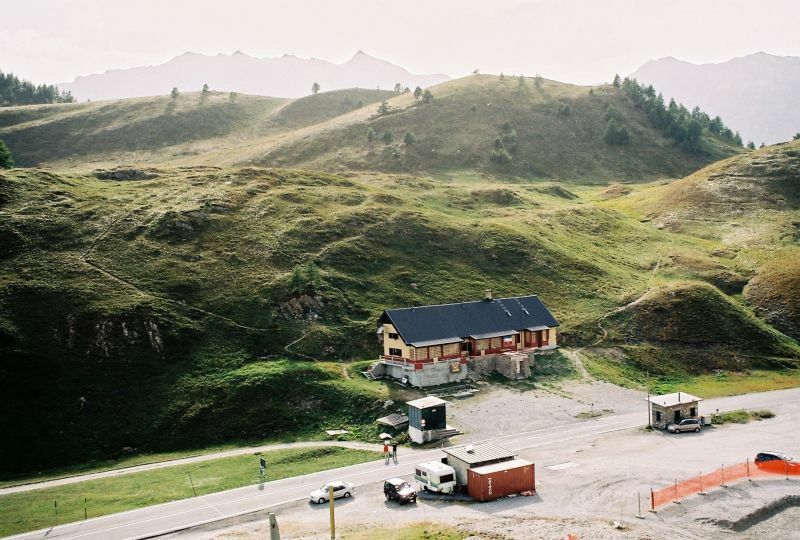 Again, this year, up-valley from Barcelonnette in a Jausiers restaurant, when questioned about Hannibal, the proprietor admitted that locals used to believe the Punic general had passed through their area, but that such ideas had since fallen out of fashion. Instead, they make capital out of their links to Mexico, where many former sons of « Barcelo » emigrated in the early XIXth century, and their town centre now boasts numerous curiousity shops selling Maya memorabilia, not to mention tapas bars to publicize this aspect of things (cf. illustration at end of article). 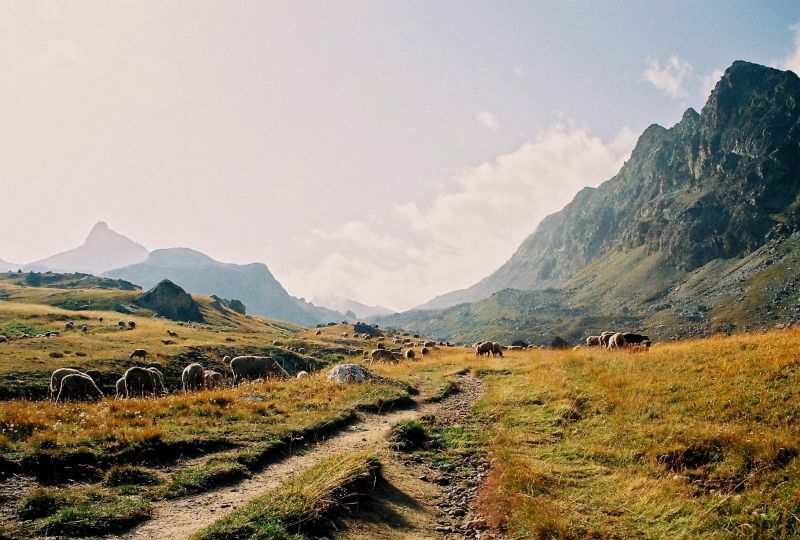 Fashion-wise, while authorities such as Saint-Simon had argued in favour of Hannibal travelling via the Grimone pass (1318m), past Mens, through the Champsaur, over the Col Bayard, then up the Ubaye and eventually over Col de Mary, 200 years later this kind of theory had gone out of the window. Ditto regarding the Col de Larche. Amusingly though, in a 1960 monograph promoting the Lamure area (Isère), L. Caillet, takes heart from what he interprets as Jumbo’s semi-failure at the Clapier the previous year, concluding that “on en revient aux anciennes hypothèses”, hinting that this somehow rehabilitates the Ubaye route which passes by is front door! Very much a case of what the French call esprit de clocher, or inter communal rivalry. 2.5 feasibility of descent from col towards Italy (potential terrain hazards, strategic considerations, etc.). Ultimately, our aim was to produce a tabulated summary of our findings going back to our initial 1977 Col de Mary crossing, itemizing the above factors of each pass earmarked for scrutiny, and, in terms of whether it would “go”, awarding grades ranging from “go-go” and “go”, to “doubtful” or definitely “no-go”. Though this perfectly harmless exercise would not, per se, solve the riddle of the “col perdu d’Hannibal” (Morabito, 2003), we felt it should provide the reader with useful elements of comparison. 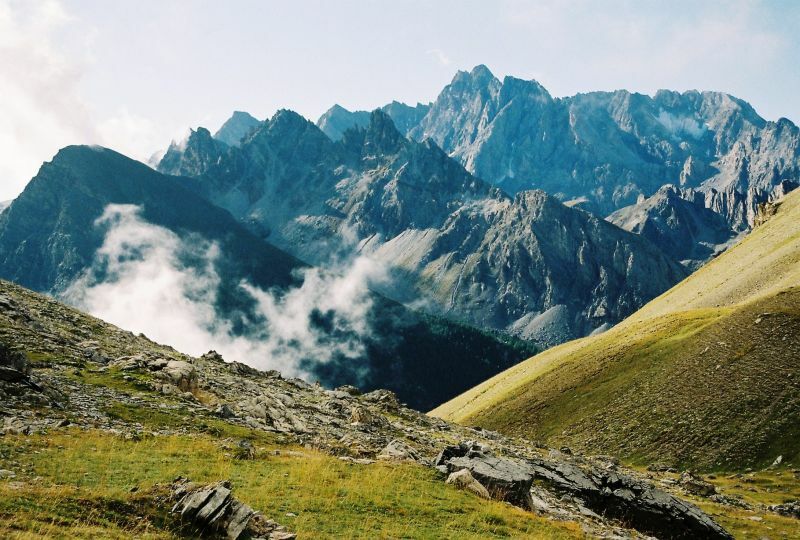 One of the southernmost and usually snow-free cols of the Alps, the relatively low altitude (1991m) and easy accessibility of the Colle della Maddalena, all the way up the Ubaye and Ubayette valleys, speak in its favour as a possible route for Hannibal. And yet it has fallen out of grace in recent years, not being deemed high enough to match references to residual snow in accounts by Polybius and Livy; also for military reasons. According to arm-chair strategists, it would have taken Hannibal too far south, along a route debouching onto Cuneo (Coni), hence leaving his right flank vulnerable to Roman attack. Conversely, one can argue that it was precisely the kind of gamble that one would have expected the daring 29-year-old general to take. Be that as that it may, the present writer and his party were greatly impressed by this pass. Nowhere before on our quest had we seen such user-friendly mountain terrain: a gently-sloping, well-watered and -wooded, open valley calculated to have provided Hannibal and his elephants with the smoothest ride possible. Not to mention fine meadows and springs at the col itself, a nearby lake, with larch trees (mélèzes) growing in the vicinity – ideal for a bivouacking army. Even the initial descent beyond the lake to Argentera village on the Italian side, rightly described as mildly difficult by P. Ollier, would not have proved too tough a nut to crack for Hannibal’s engineers. Our conclusion: col definitely qualifies as a “go-go”. An unfashionable route according to XXIst-century reckoning. However, our revived interest in this particular pass was kindled by an account entitled “De Grimone à Mary”, penned by a scholar living in the Hautes Alpes called M. G. de Manteyer. 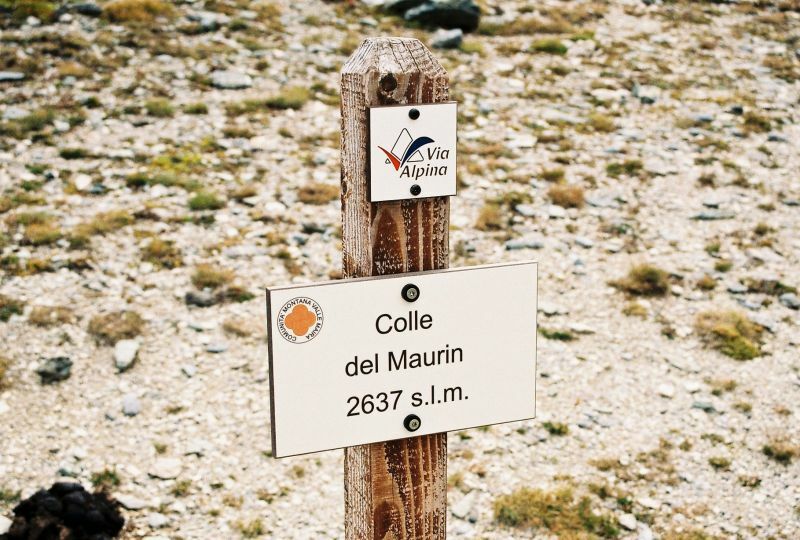 His 1945 thesis, based on a text by Varro claiming that Hannibal’s pass lay between Monte Viso and the Col de Larche, contended that Col de Mary (or its close neighbour, Col de Roure) was the only feasible candidate. Barely twenty years later this theory had lost credit with the pundits; Guillaume (1967) for one, dismisses it out of hand. This route, he argues, descends into the unsuitably deep and narrow Maira valley, eventually reaching the Cuneo area, too far south of Taurini territory. Our investigations did not tally with this view. It took us just over 3 hours to reach the Col de Mary (2630m) from the French Alpine Club (CAF) Maljasset hut. 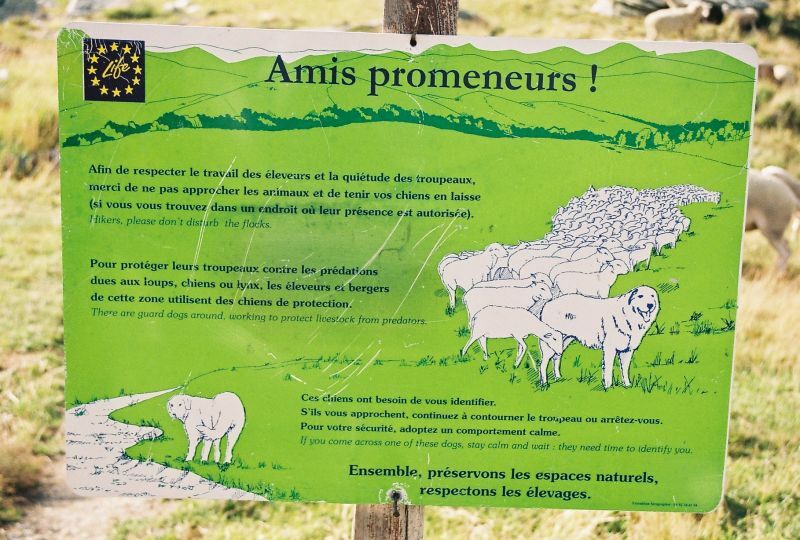 A friendly trail way-marked in red and yellow first took us up through magnificent larch forest; then over some easily negotiable rock steps to gain comfortably sloping meadows; in September, sheep grazing here with anti-wolf dogs – large white patous – in attendance. Beyond, grassy slopes head onwards to the pass; just before it a large bowl could easily house an army. Interestingly, the path on this final section had been reinforced with stone slabs in Mussolini’s time. Pass proper found to be stony and fairly narrow, with two discordant signposts: one labelled “Col de Mary” (2637m), the other “Colle del Maurin”(2639m). 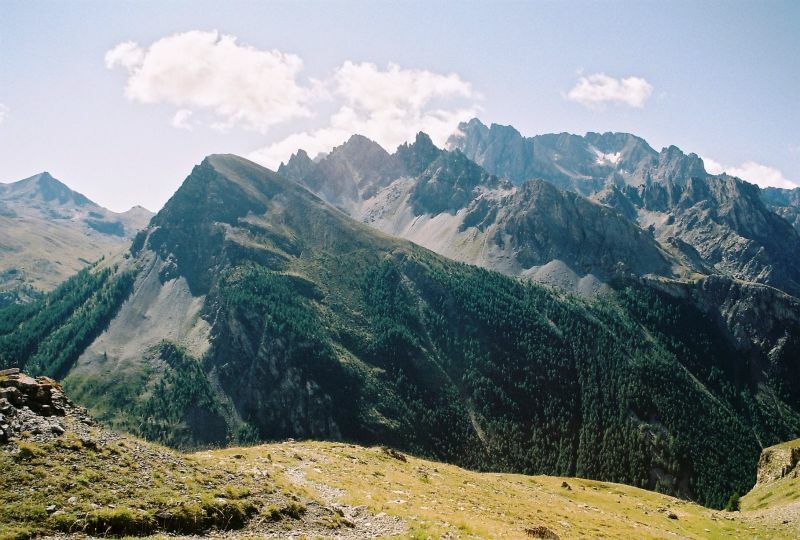 On the Italian side, we enjoyed views far down Mara valley towards mysterious, cloud-wrapped peaks. A few hundreds down the Italian slope a vantage-point revealed a succession of bumps and hollows subsiding smoothly towards a point where valley narrows. Both Eric Hatt and present writer recognized terrain they had come over in previous ears. Weather-wise, it had been a cloudy day till 09:30, when things had brightened up considerably on the French side. Over and around the Mary, however, typical lombarde conditions had reigned. Luckily for us, though, the rain held off till 14:00, when, after a brief detour via Lac de Marinet, it caught us half way back to Maljasset and we took a healthy soaking. The col itself could be pronounced as a “go”. The only qualification being that, on their way up the Ubaye valley, Hannibal’s engineers might have had their work cut out bypassing a forested gorge some way downstream between La Condamine and St Paul. Regretfully then, it looks as though the Mary must be rated as “doubtful”. One of those austere high-places, much frequented in the XIXth century by Italian colporteurs (‘pedlars’) from Belino seeking fame and fortune in France, the Col de l’Autaret constitutes a point of vantage, with far-flung views towards Queyras on the one hand, towards the Bellino area on the other. Sadly, due to a combination of bad weather and miscalculation, we never actually made it to the top of this one, which means there’ll have to be a return match. We did, however reconnoitre its approaches in the rain. 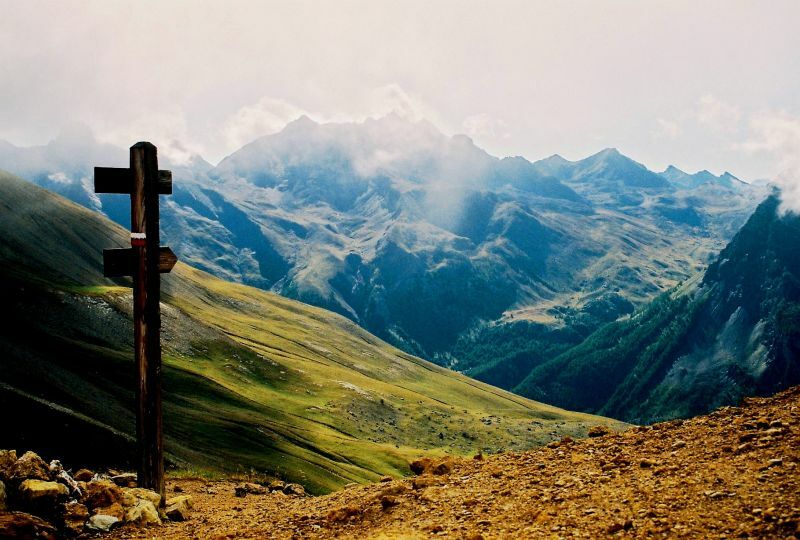 The route involves crossing the Ubaye a few hundreds upstream from Maljasset, taking the Col de Mary trail for a while, then heeding a signpost marked “Col de l’Autaret” that follows the Ubaye left-bank path through the Grand Bois. (On September 5, 2011, this stretch of larch forest was alive with the ringing of bells from grazing cattle). 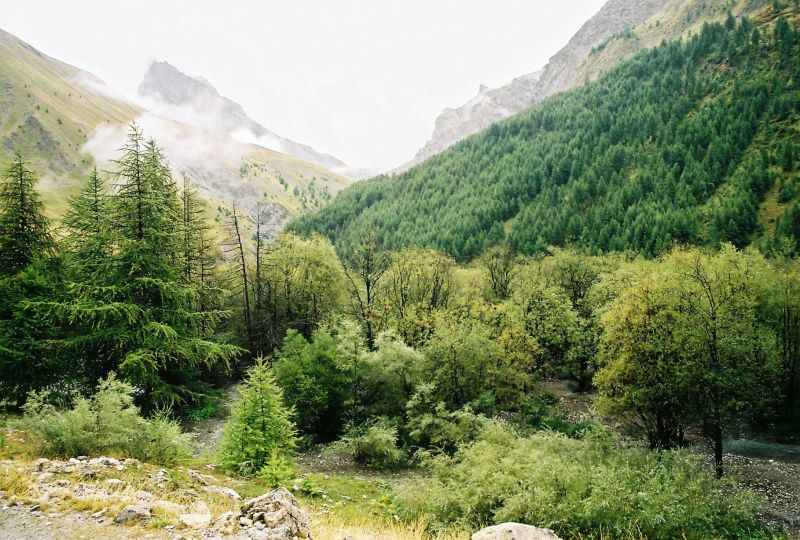 After an hour and a half or so, a valley junction is reached at Plan de Parouart, where the Ubaye broadens into a 300m-wide gravel-bed stunted with trees and bushes. One needs to do a right from here and follow on up the path, past some shepherds’ huts, skirting the Torrent de Chabrière for some three hours (according to the Maljasset Hut custodian), till the pass is reached. 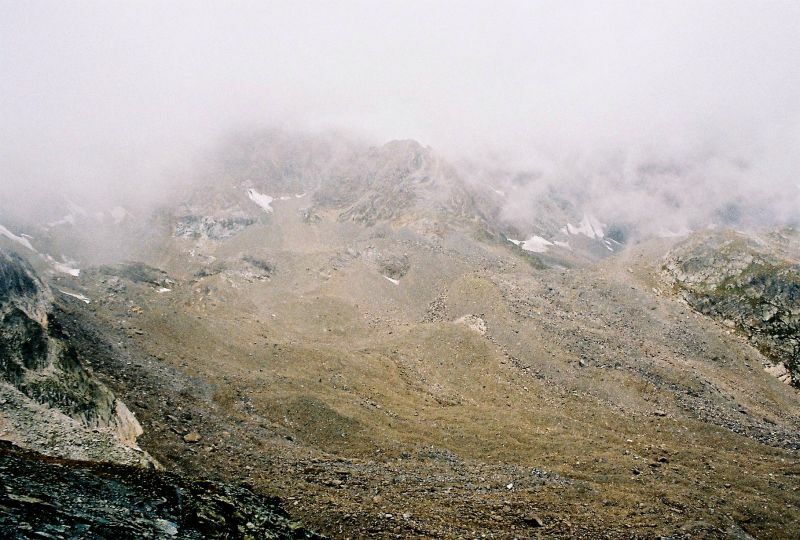 At 2874m it ranks as second-highest to Traversette among potential Hannibal cols. On the last morning of our stay (September 5) we did an up-and-down in 4 hours 15 minutes from Maljasset to the Col Girardin on the GR 5, and back again. This enabled us to take some challenging pictures of the Aiguilles de Chambeyron, the Col de Mary and a cleft on the far left skyline marking Col de l’Autaret. Hannibal experts usually list the presence (or absence) of late snow in the vicinity as a criterion when it comes to deciding which one is the bone fide col. In fact several venues, like the Col de Larche, have been put out of the running for that very reason. As mentioned in a previous article (cf.http://michaelpeyron.unblog.fr/2010/09/02/an-unsolved-riddle-as-old-as-the-hills), snow-melt and glacial retreat are constantly shifting variables, rendering a posteriori reconstruction of conditions in 218 BC extremely arduous. While tentative comparisons have been made between possibly milder weather conditions obtaining during the so-called “Roman climatic optimum” and today’s glacial retreat, apparently attributable to global warming, it is difficult to draw hard and fast conclusions there-from. The more so as finer points of climatic oscillation need to be taken into account and accurately evaluated (P. Leveau & L. Mercalli, 2011). This being so, the reader will forgive a brief digression. 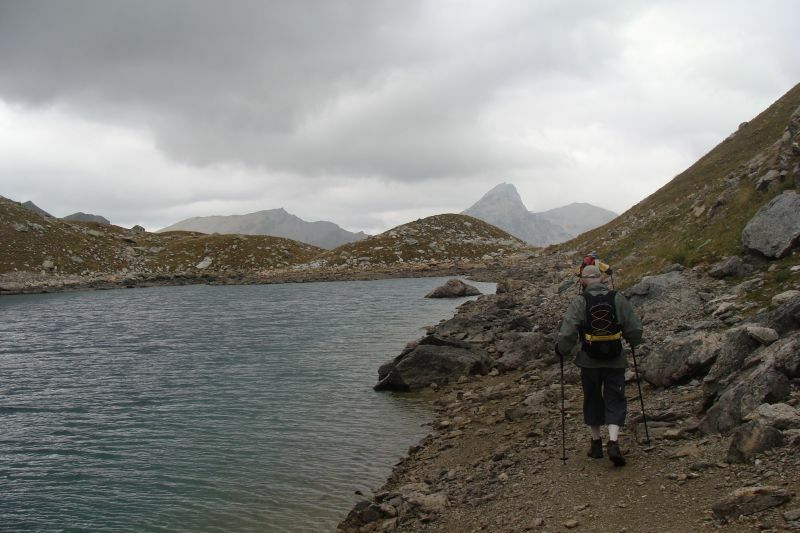 While returning from the Mary on September 4, 2011, we made a detour via Col de Marinet (2785m) and Lac du Marinet (2535m). This gave us a grandstand view of the northern side of the Aiguilles de Chambeyron (3410m) together with what used to be the Marinet glacier. When last seen by this writer in 1977, the Marinet still extended some way down into the corrie above the lake, as on accompanying map. Eight years on from the 2003 heat-wave, the glacier has been reduced to five or six separate patches of névé snow, huddling like orphans at the foot of individual buttresses and couloirs. As for the NW-facing Glacier de Chauvet, we noticed on September 5 that it was now limited to a small hanging glacier west of the main Aiguille, overlooking an extensive rock glacier. A sorry sight indeed! At the end of the day, we’re talking in terms of recent change readily observable over a 30-year period. The point being that one has to be very, very careful when attempting to “guestimate” snow and ice conditions at a specific point in past history. 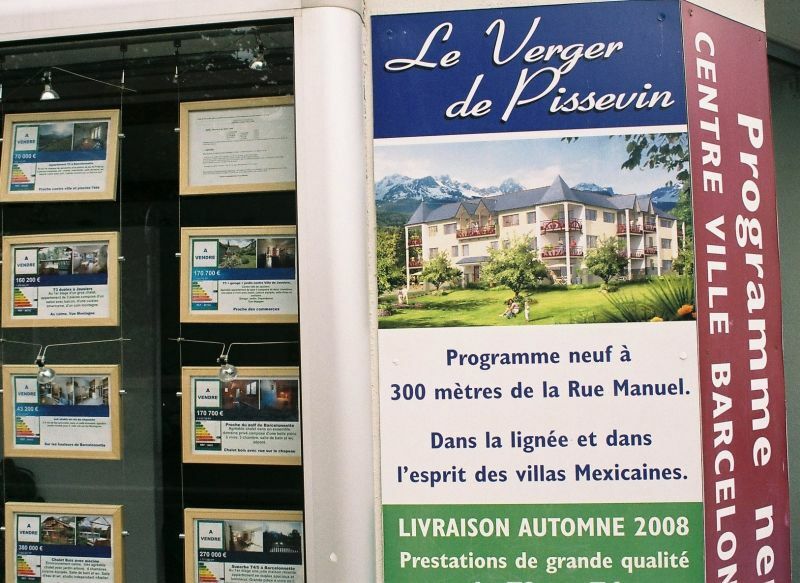 A. Bocquet, Hannibal chez les Allobroges : La grande traversée des Alpes, Montmélian: La Fontaine de Siloé, 2009. A beautifully edited, scholarly and well-documented account by a classical archaeologist. Hannibal’s itinerary is subjected to rigorous analysis as per Peutinger’s table, while supporters of the Clapier route are invited to abandon a fashionable theory that no longer holds water (p.80). A book to keep and re-read. L. Caillet, La Mure d’Isère et ses environs – Corps – Mens – Valbonnais, Gap: Impr. Louis-Jean: 1960. This is a workmanlike monograph on the La Mure area that includes a snippet of info on Hannibal’s supposed Haute Ubaye route (p. 129). P. Cassagne, R. Blanchard, M. Igout & M. Vyon, Lacs et Glaciers de Marinet, Association Haute Ubaye, 1975 (env.). 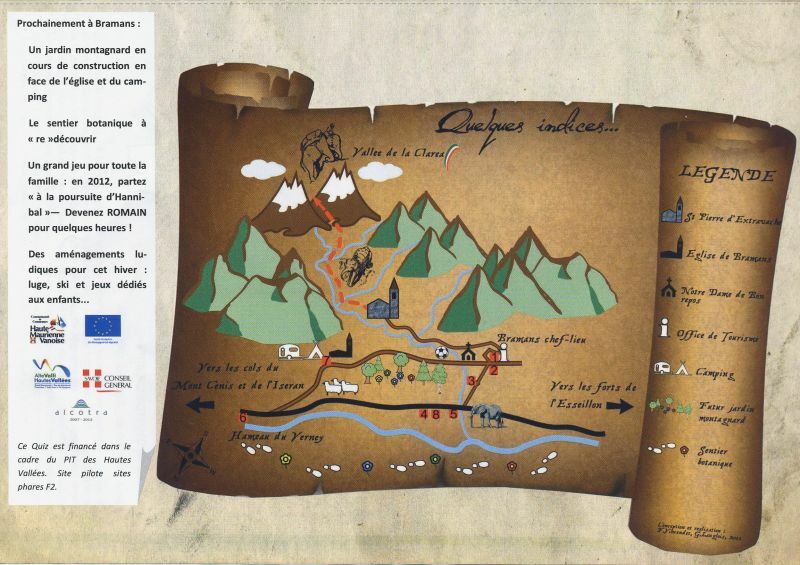 An unassuming map-guide written by local mountaineers containing a wealth of info on the Aiguilles de Chambeyron and Col de Mary area. An engagingly written re-run of Bernard Levin’s route, and possibly one of the best Hannibal articles ever in English. G. De Galbert, Hannibal et Cesar dans les Alpes, Grenoble : Ed. Belledonne, 2009. 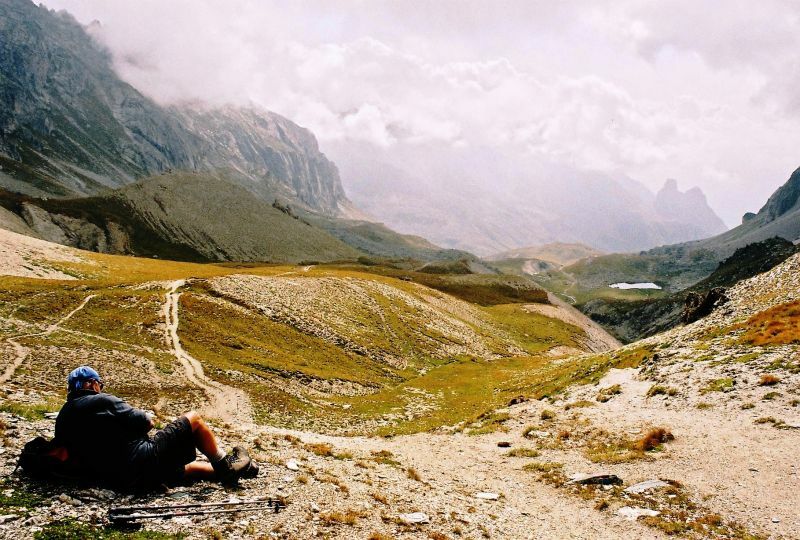 A painstaking, well-written reconstruction of the Maurienne-Clapier route based on perusal of primary sources and field-work. Unsurprisingly, as the author shares the latter’s views on the Clapier, Patrick Hunt has volunteered a preface. This volume deserves a place in your bookcase as a properly documented and illustrated work of reference. A.Guillaume (Général), Annibal franchit les Alpes, 218 av. J.-C., Grenoble: Ed. des Cahiers de l’Alpe, 1967. Few were better qualified than General Guillaume, himself of Guillestre, to produce this exhaustive survey of “Hannibalic” passes from Savoy to Hautes Alpes. After extensive research and field-work, finally narrows down possibilities to Clapier and Traversette, though refrains from taking sides. J.-P. Jospin & L. Dalaine (eds. ), Hannibal et les Alpes une traverse, un mythe, Grenoble: Musée Dauphinois, 2011. A collective, Franco-Italian effort that deals with Hannibal’s crossing of the Alps from several angles: historical (Gallic and Carthaginian), military (includes an insightful piece on soldiers’ weapons and equipment), mythological, environmental and archaeological. Although pointing to Clapier as a strong probability, does not neglect other theories. Superbly illustrated; a book to keep. P. Leveau & L. Mercalli, « Hannibal et les Alpes : l’identification du col franchi et son contexte environnemental », in Hannibal et les Alpes : une traversée, un mythe, J.-P. Jospin & L. Dalaine (éds. ), Grenoble, Musée dauphinois, 2011 (pp. 95-106). Part of the previous festchrift, it analyzes the environmental background to Hannibal’s traverse, including the vexed question of snow-cover, and includes a useful chart on average temperatures in the Alps over the past 11000 years. G., Manteyer, de, « Le franchissement des Alpes par Annibal, de Grimone à Mary », Bulletin de la Société d’Etudes des Hautes-Alpes, 1945. A one-off effort to solve the problem of Hannibal’s pass by a then prominent Egyptologist. 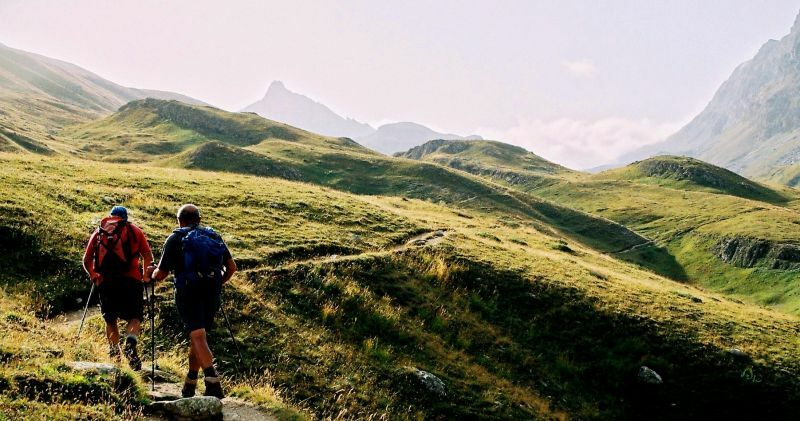 The theory is a challenging one, though according to Guillaume, de Manteyer apparently never made it up to the Col de Mary on foot; Guillaume did – which makes all the difference! J.S. Morabito, Mais où est donc passé le fils d’Hamilcar ? ou sur la piste du col perdu d’Hannibal, Paris: Ed. La Bruyère, 2003. This stimulating, scholarly account relies on a totally new time-and-motion analysis of Hannibal’s itinerary, dismissing earlier miscalculations, and ultimately sending him over the Col d’Agnel. Doubtful, however, as to whether author actually did field-work; photographs at end of volume look decidedly second-hand. Tite-Live, Hannibal, (M. Grimaud, trad.& G. Walter, éd. ), Club du Livre d’Histoire (1970, env.). A classic biography of Hannibal that contains extracts from Livy fluently translated and expertly commented upon. Black and white photographs, maps; the editors appear to favour the Montgenèvre route. Appendix 3 Where to stay ?